The Pentagon has reportedly been preparing a “misleading” response to the Senate’s criticism of delays in the F-35’s progress. An internal memo pointed at “prevarications” regarding the stealth combat aircraft’s development timeframe. “If not changed, the existing responses would at best be considered misleading and at worst, prevarications,” the Pentagon’s director of operational testing, Michael Gilmore, wrote in a memo obtained by Bloomberg. 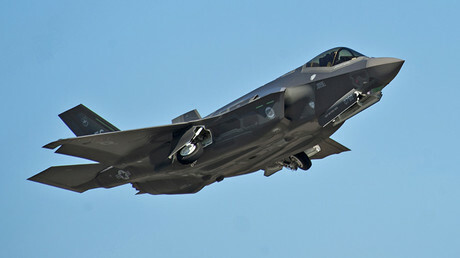 The internal document appears to criticize the Pentagon’s draft report, meant to be sent to Senator John McCain (R-Arizona), who questioned Defense Secretary Ash Carter on the progress setbacks facing the Lockheed Martin F-35 Lightning II in early November. “I am extremely disappointed to learn of yet another delay in the completion of the System Development and Demonstration (SDD) phase of the F-35 Joint Strike Program,” Senate Armed Services Committee Chairman McCain wrote in a November 3 letter. He specifically asked the Defense Department “provide responses” to a total of 10 questions. Gilmore pointed to three answers, in which the DoD was not quite accurate. Gilmore recommended that the Pentagon “state clearly that development flight testing will not complete – at the earliest” – until mid-2018. There are also issues with the Navy’s version of the plane, the F-35C, which, Cilmore said, has “inadequate” wing strength and is not capable of carrying a primary weapon, the AIM-9X short-range air-to-air missile, at some altitudes and airspeeds. Gilmore’s spokesman, Army Major Roger Cabiness, also told Bloomberg that “this is a serious deficiency that would have restricted” a F-35C flight with the missile. Cabiness addressed “excessive F-35 vertical oscillations,” or shaking, in catapult launches from aircraft carriers, something that Gilmore has also mentioned. In the words of Cabiness, the Navy considers it a “must-fix deficiency,” but he does not expect that it can be done within the development phase. The “program waited so long to take action that it is unlikely a solution can be implemented within” the development phase “unless a quick fix is developed soon,” Cabiness wrote. In November, the F-35 program office asked the Pentagon to provide additional $500 million to finish development on the F-35 Joint Strike Fighter. Development work on the jet has already eaten up 15 years and over $55 billion, making it America’s costliest weapons program. Originally scheduled to end in 2012, the development phase was extended through 2016 and given another $476 million in funding during a 2010 reorganization. 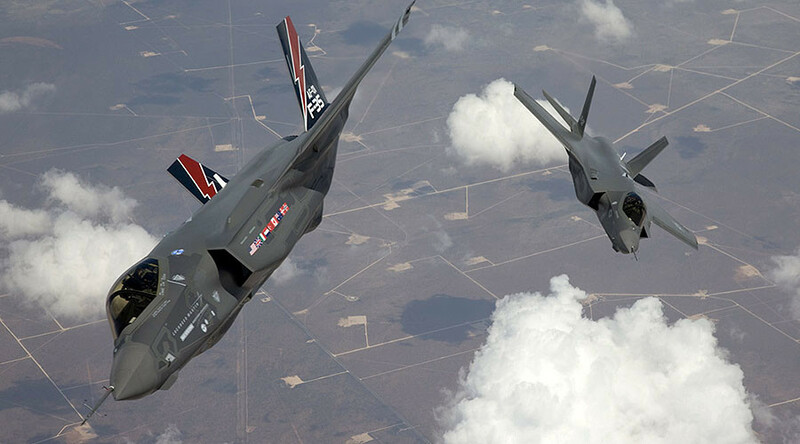 Officially, the F-35 has already entered service in the US Marine Corps and the Air Force, with the Navy version expected to follow suit in 2018. In practice, however, the futuristic jet is plagued by more than 1,300 problems catalogued by the Pentagon inspectors, and requires more testing, patching and tweaking before it could actually replace the existing combat aircraft. On October 14, Gilmore detailed the problems with the jet in his memo, pointing at the main gun’s design deficiencies, too few aircraft available for testing, and over 1,000 “significant” problems with the plane’s sophisticated software. He recommended the program be restructured again and “provided the additional resources it clearly requires to deliver its long-planned and sorely needed” full capability, Bloomberg reported at the time.